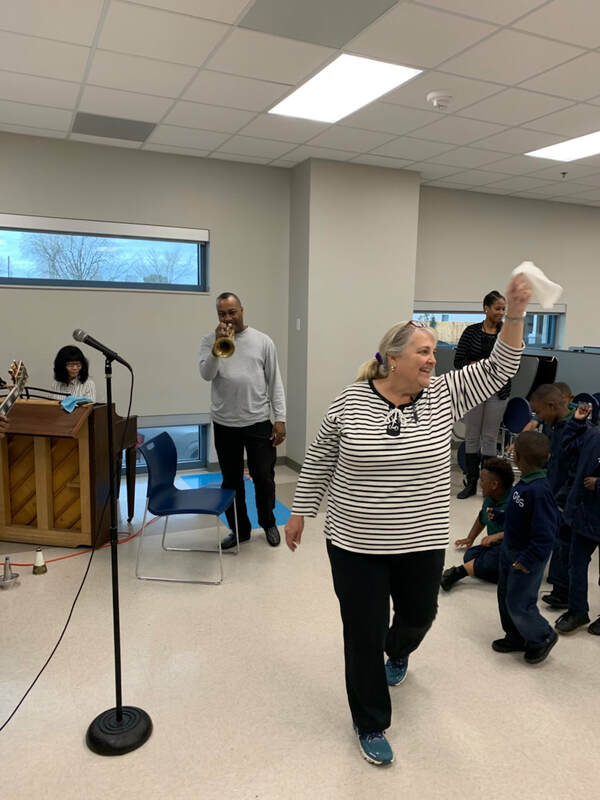 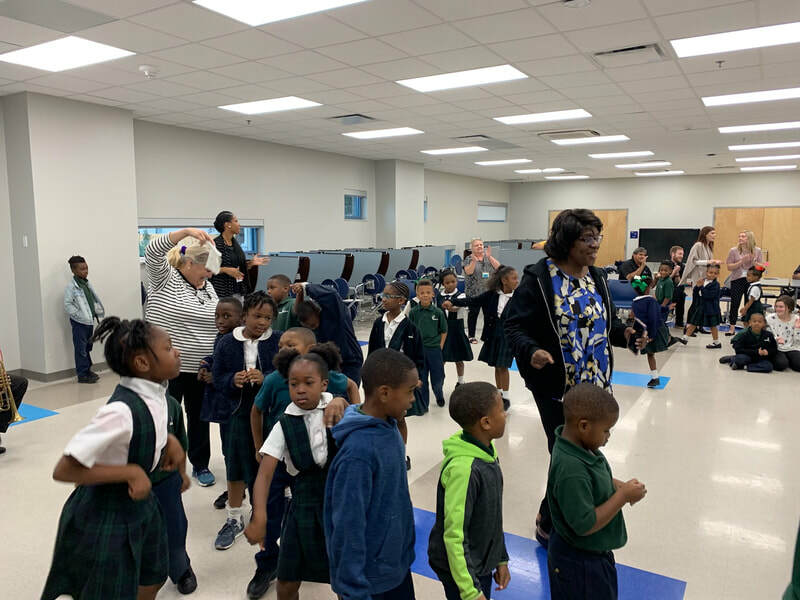 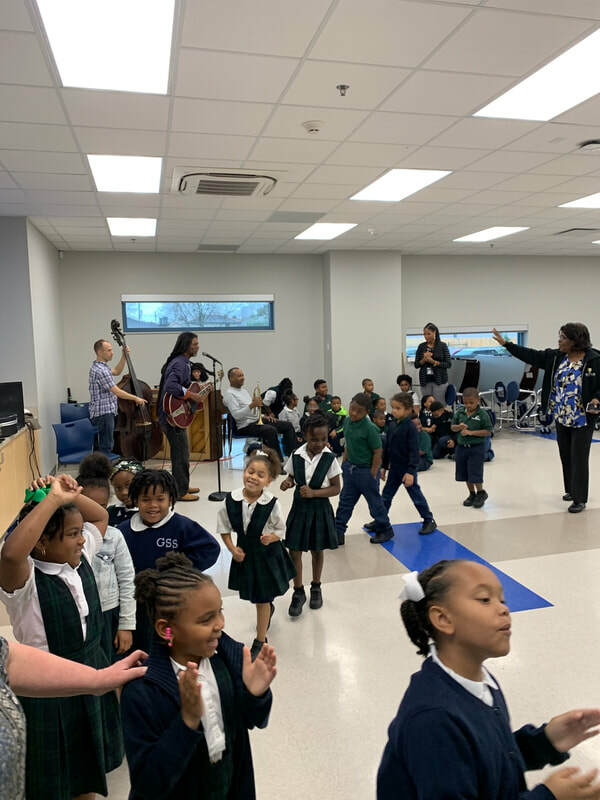 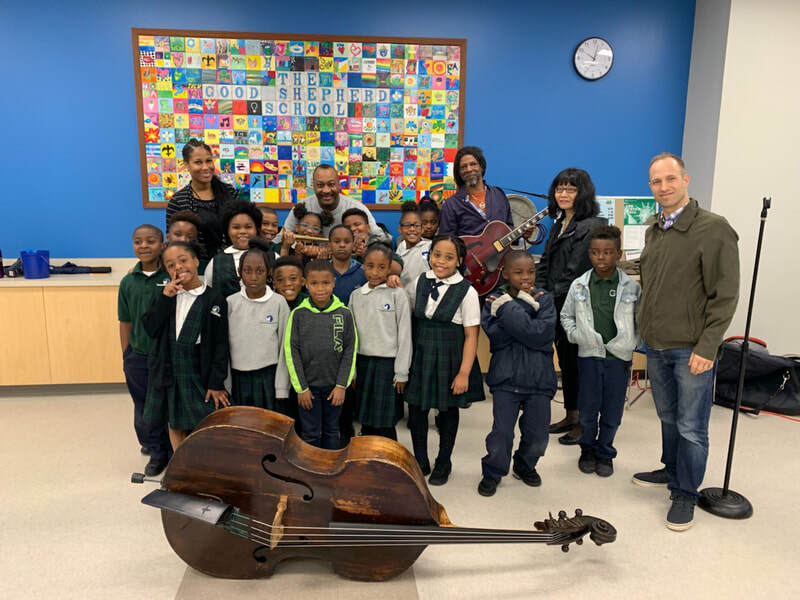 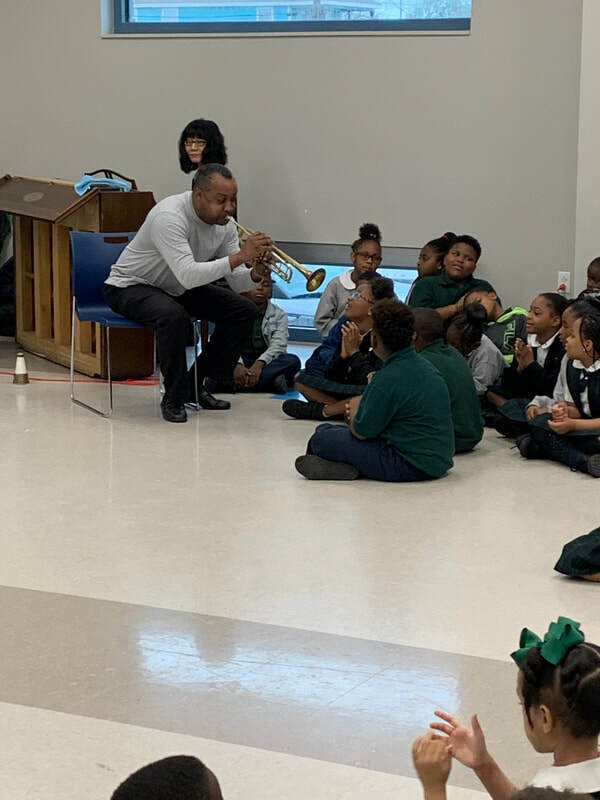 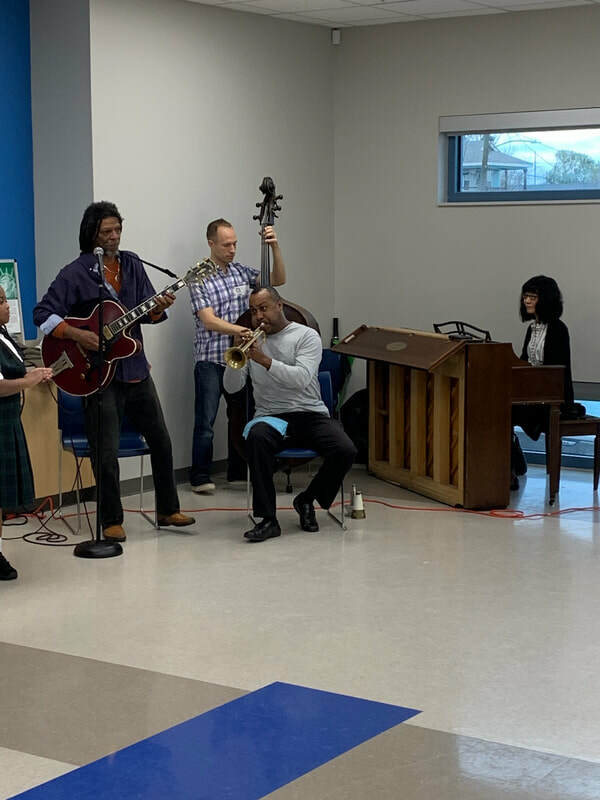 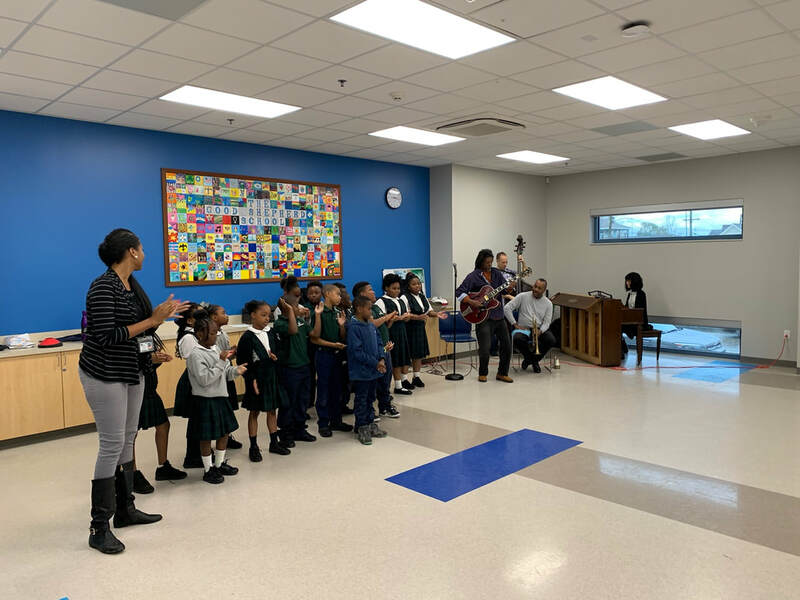 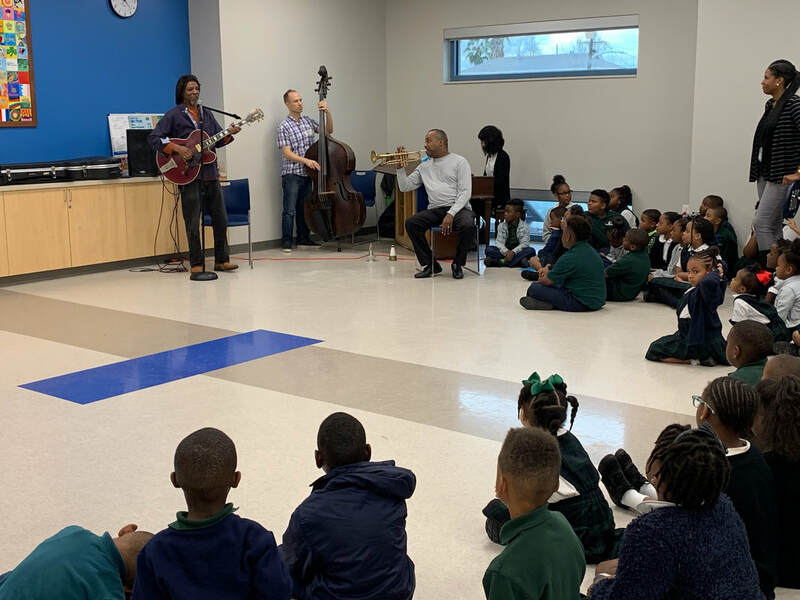 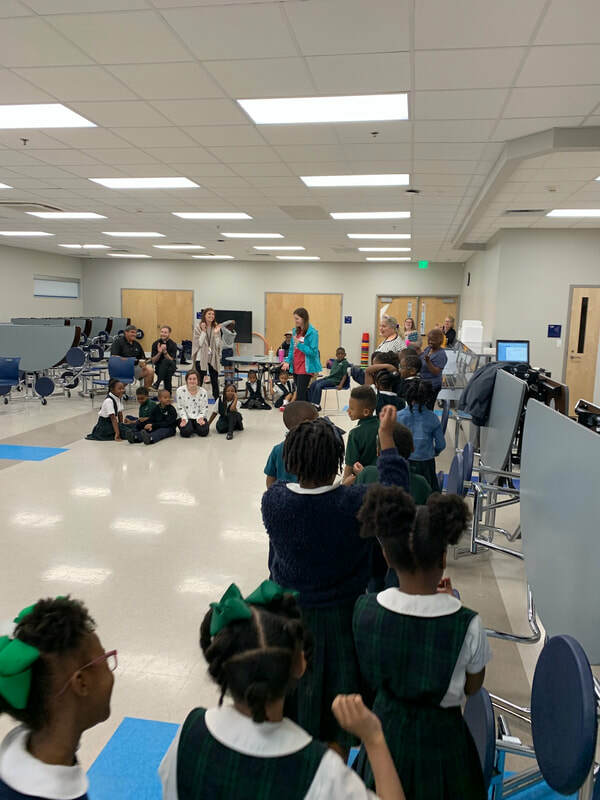 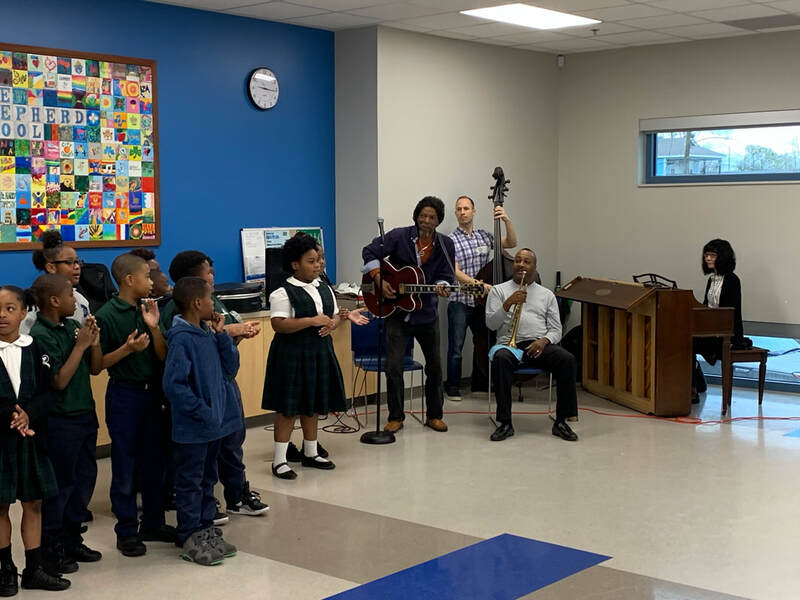 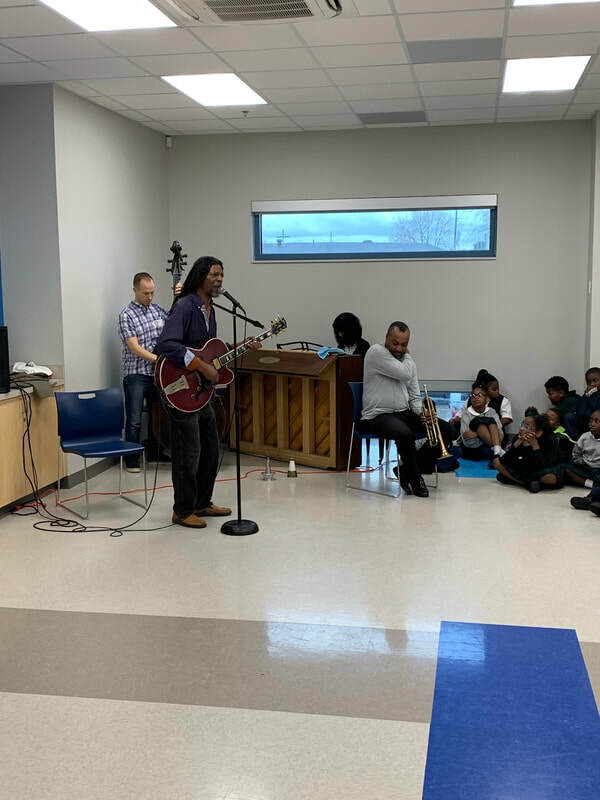 Thanks to the generosity of the Jazz Foundation of America, musicians visited campus to preform for PK - 2nd grade students. 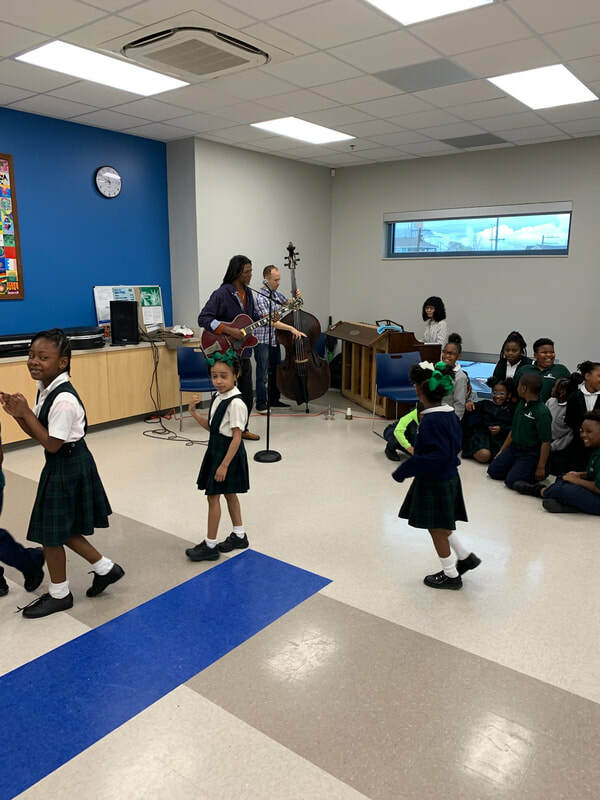 After the performance, students were able to ask questions, and of course, there had to be a second line. 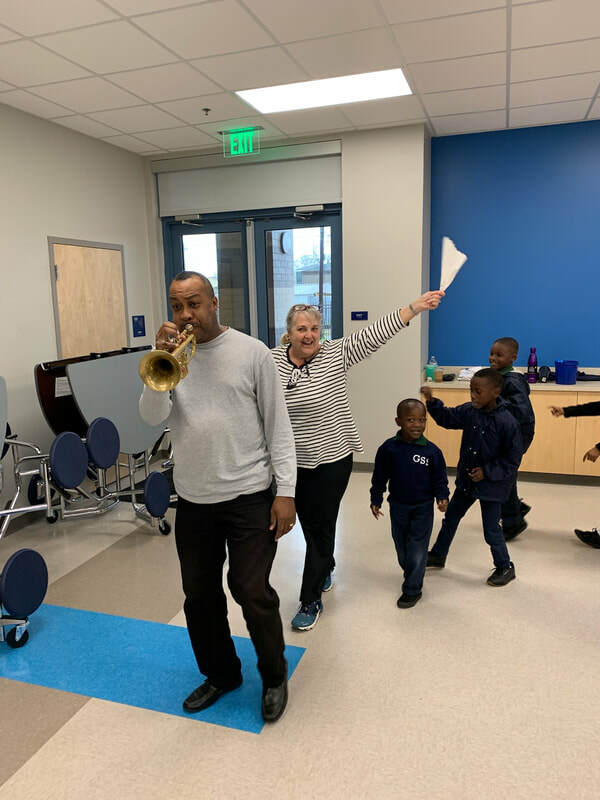 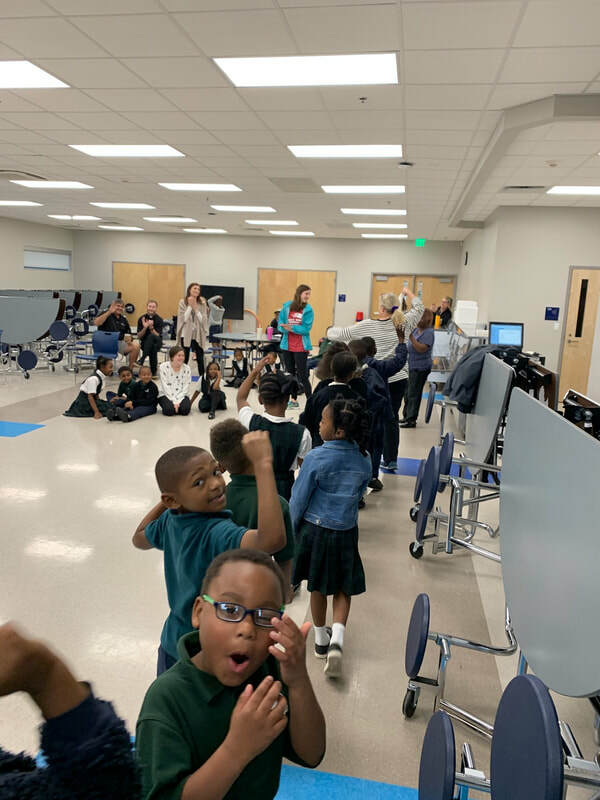 Students and teachers paraded around the cafeteria with the trumpet leading the way! 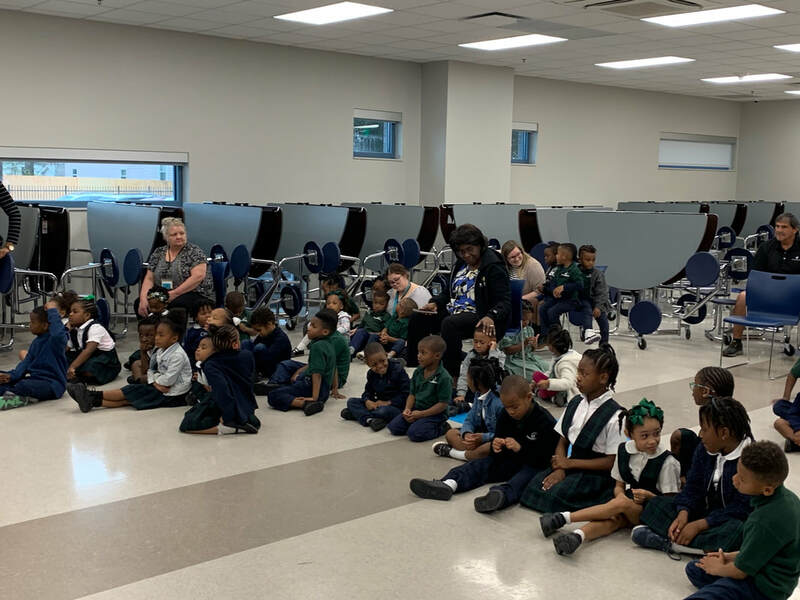 Thank you for visiting GSS!